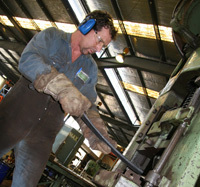 Westralia Springs’ Welshpool workshop is fully equipped to carry out all leaf spring manufacturing and maintenance requirements. The company made the move from Belmont to the larger Welshpool premises in 2005 to meet the demands of our increasing range and stock. 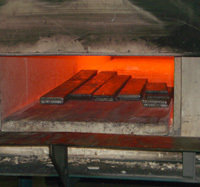 We are able to complete manufacturing and maintenance on site at our fully equipped workshop. Our workshop is fully stocked with thousands of spare parts and the furnace operates daily so the aim wherever possible is same day repairs, resetting and servicing of leaf springs so that clients experience minimal down time with vehicles. If you need reliable, durable suspension for your vehicle, with friendly, fast service, visit us at our Welshpool Workshop today.